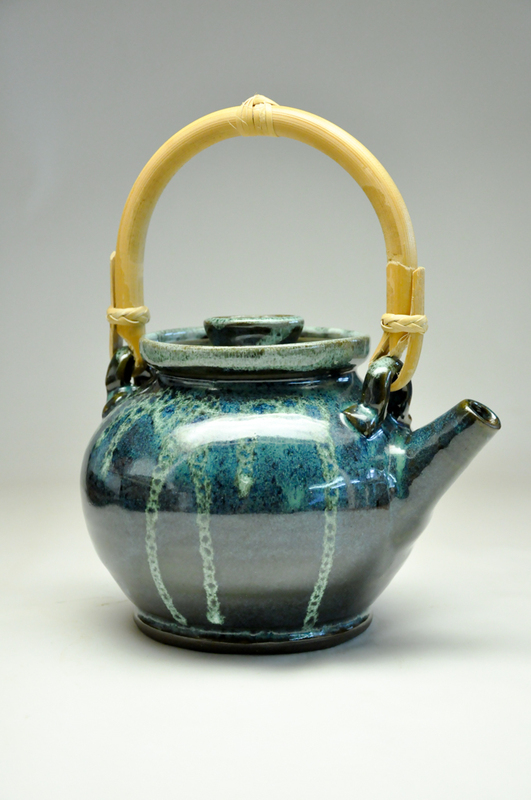 I don’t make a lot of teapots. I don’t use them much at home, so it usually takes a request to get me to make one. 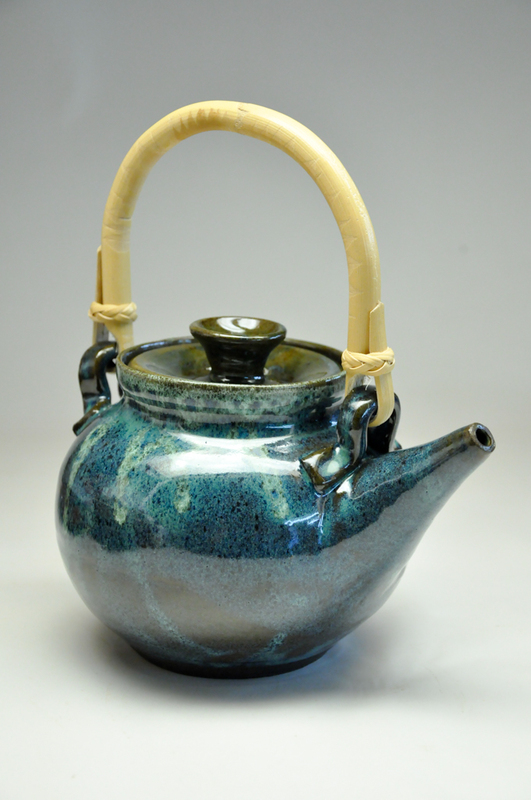 I recently had a request including a teapot, so to be on the safe side, I made a pair. You never know. These are both about 5″ tall not including the handles, and about 5.5″ across at the outside of the handle lugs. They’re dark stoneware with the whitecap glaze treatment. Both pour nicely, without drips. The one with the larger spout has a carved foot ring. I’m happy with both. I think the one with the smaller spout, along with other recent work, will be available at Buy Local in October during the Locals show. Thank you! They were made for decorative use, and it turns out they are totally drip-free. Go figure!